Seresto Large Dog Bayer is a long-lasting (8 months) pest control collar (fleas, ticks, lice) in dogs over 8 kg. According to a recent study Seresto also appears to be of interest in the fight against leishmaniasis transmitted by Phlebotomine * (mosquito). Pest control collar suitable for dogs over 8 kg preferably. Comment on the recommendations for use and dosage of Seresto Bayer Large Dog Collar with our Verified Reviews partner after your purchase. The Bayer Seresto Pediatric Collar for large dogs is used for the treatment and prevention of flea infestations ( Ctenocephalides felis ) and crushing lice ( Trichodectes canis ) for 7 to 8 months. 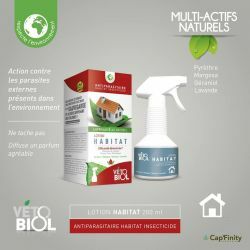 This product exerts an acaricidal (lethal) action ( Ixodes ricinus, Rhipicephalus sanguineus, Dermacentor reticulatus) and a repellent action (preventing parasites to feed) against tick infestations ( Ixodes ricinus, Ripicephalus sanguineus) during 8 months. 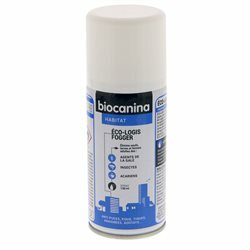 It is effective against adult larvae, nymphs and ticks. The effectiveness against fleas begins as soon as the collar is applied. The active ingredient in the Seresto collar protects the immediate environment of the animal against the development of flea larvae for 8 months. The drug can be integrated into a therapeutic program of flea allergy dermatitis dermatitis (DAPP). Ideally, the Seresto collar should be applied before the start of the flea and tick season. Ticks already present on the dog before treatment may not be killed within 48 hours after application of the collar, and remain fixed and visible. Therefore, it is recommended to remove ticks already present on the dog at the time of application. Prevention against infestation with new ticks begins within two days after application of the collar. Ticks are ectoparasites very well known in some areas including hunting areas and woodlands. The main tick species are responsible for the transmission of piroplasmosis , borreliosis (Lyme disease) and ehrlichiosis . In addition, Lyme disease is a zoonosis, that is to say that humans can also contract this condition. Do not treat puppies under 7 weeks old. Do not use in case of known hypersensitivity to the active substances or to any of the excipients. Ticks will be killed and come off the host 24 to 48 hours after the infestation, usually without having a blood meal. Fixing a tick after treatment remains possible. Therefore, the transmission of infectious diseases by ticks can not be totally ruled out if the conditions are unfavorable. As with all flea and tick control products in long-acting dogs, seasonal periods of high hair loss may eventually result in a slight transient reduction in treatment efficacy due to the loss of a long-lasting infection. part of the active substances attached to the hairs. The release of the assets from the collar resumes immediately, so that full effectiveness will be restored without additional treatment or replacement of the Seresto collar.